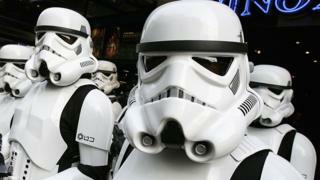 The Russian city of Belgorod is now the Dark Side for an official who resigned after the Star Wars main theme tune was played at the new mayor's swearing-in. Belgorod cultural director Lyudmila Grekova said "we decided to replace the music, to have something more modern, but didn't check where it came from". Ms Grekova resigned over the "mistake". "There was no malicious intent. I myself insist on not having foreign content - and this is the result. We dropped the ball," she said.